RHEA is a high temperature data transmission solution with galvanic isolation of 2.5kV and operating reliably from -55°C to +225°C. The CHT-RHEA is a single chip dual channel, full duplex transceiver (2 transmit and 2 receive channels). The magnetic isolation on each channel is ensured by an external tiny pulse transformer, of which the core diameter does not exceed 6mm (0.24”). The complete 4-channel data transmission requires one instance of CHT-RHEA on each side of the pulse transformers. 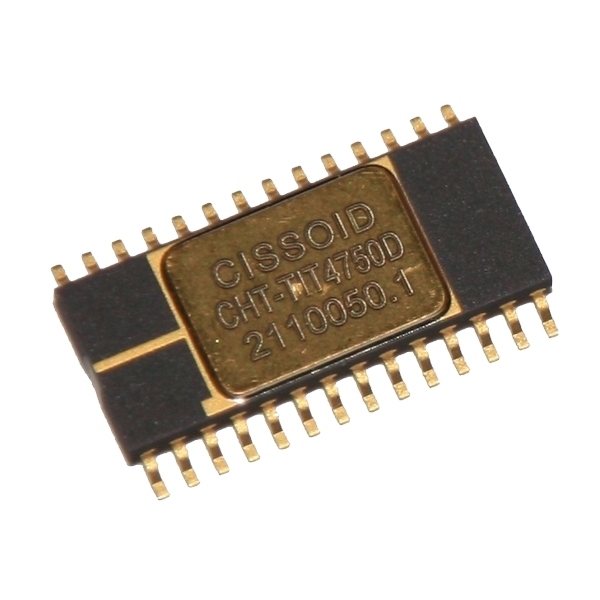 RHEA is part of CISSOID’s complete isolated gate driver technology HADES®, where it ensures transmission of control and feedback signals across the low and high voltage domains. An evaluation kit EVK-RHEA implementing a high-temperature full duplex isolated transceiver based on CHT-RHEA is available at Cissoid.